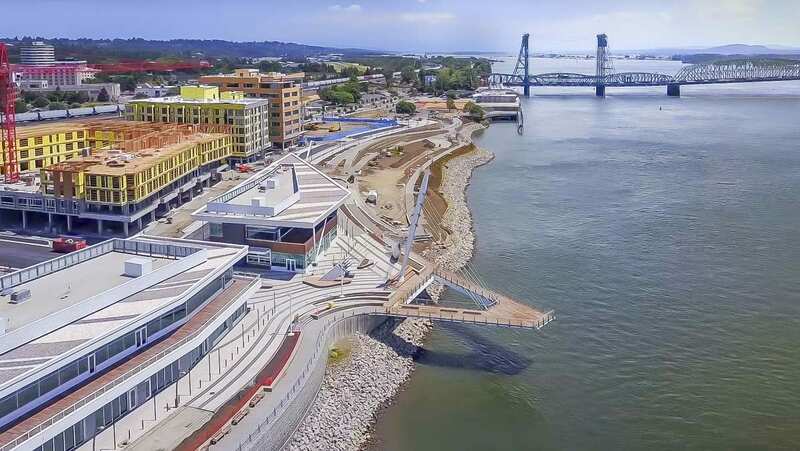 VANCOUVER — The public is invited to the grand opening event for the new Vancouver Waterfront Park, located along Columbia Way between Grant and Esther streets, on Sat., Sept. 29 from 11 a.m.–3 p.m. The celebration is free and open to the public and will include guest speakers, a ribbon cutting, live entertainment, kids activities and more. Opening remarks will take place at 11:30 a.m., followed by a ribbon cutting ceremony at the pier at 12:15 p.m.
A public/private collaborative partnership between the city of Vancouver, Columbia Waterfront LLC and Gramor Development, Inc. created the opportunity to transform the Columbia waterfront west of the I-5 bridge. The 7.3-acre city of Vancouver Waterfront Park is adjacent to a 32-acre, high density, mixed-use urban redevelopment project that will include retail, office and restaurant space, a hotel and residential units. 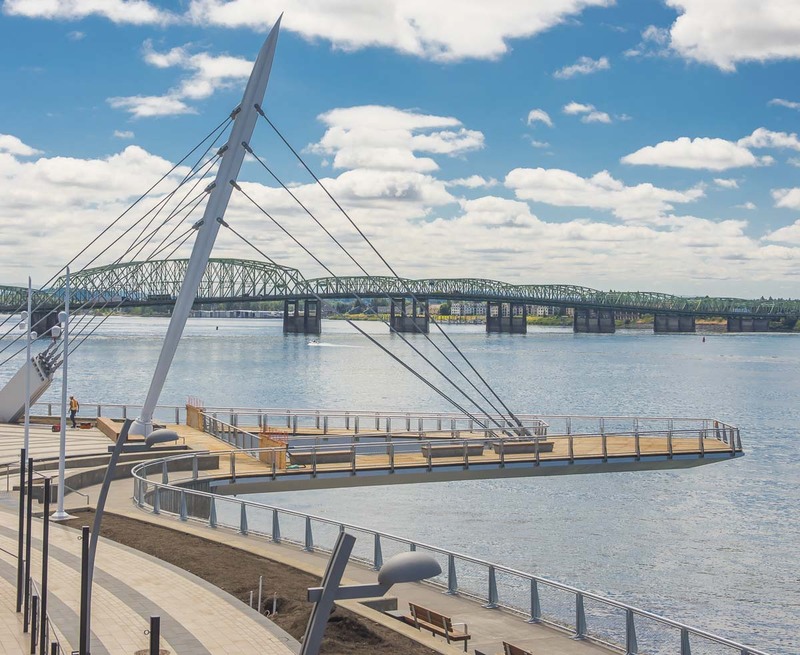 The new park features an overwater cable-stay pier, waterfront trail, urban beach, open lawn, play area, and basalt seating areas. The park design is the result of a partnership between internationally recognized designers: landscape architects PWL Partnership, public art designer Larry Kirkland and architectural lighting design firm Fisher Marantz Stone. More details on the grand opening event and the park will be available in early September. Information on the waterfront park and waterfront development can be found on the city’s Facebook page, www.facebook.com/vancouverus, and at www.cityofvancouver.us and www.thewaterfrontvancouverusa.com.